Managing an organic traffic loss can be a really frustrating experience. Webmasters and digital publishers often rack their brains for days trying to understand exactly why organic traffic has dropped off. Below, I’ll show you how to do all three. We will dig into 3 different ways to look at potential issues on your site, and what solutions are correlated with abnormalities in each evaluation method. Did I Lose Organic Traffic? This really is the first question you should be asking. I doubt you would be here if you didn’t suspect you’d been hit with a Google update or website error, but the truth is that 50% of the sites I see that have a loss in traffic actually haven’t lost organic traffic. First, we need to identify that it was, in fact, organic traffic loss. Next, we need to see when it happened, who is affected, and what pages it has occurred on. This video walks through a step-by-step process of how to do this on your own using Google Analytics. Knowing these 3 bits of info will tell us a lot about what actually might be occurring to cause a loss in organic traffic. Is it really organic traffic that is in decline? Declined compared to what period? If not, where did the traffic loss come from (full traffic loss guide here)? Is it just a single page that is driving a loss in traffic? Did it occur more dramatically on a single device or in a certain location? We can answer all of these questions in Google Analytics. In the video above, I outline exactly what the answer for each question could mean. For example: If the traffic loss is driven by only one page, look to see if it has dropped in keyword rankings using a tool like SEMRUsh. If so, look at it on mobile and desktop. 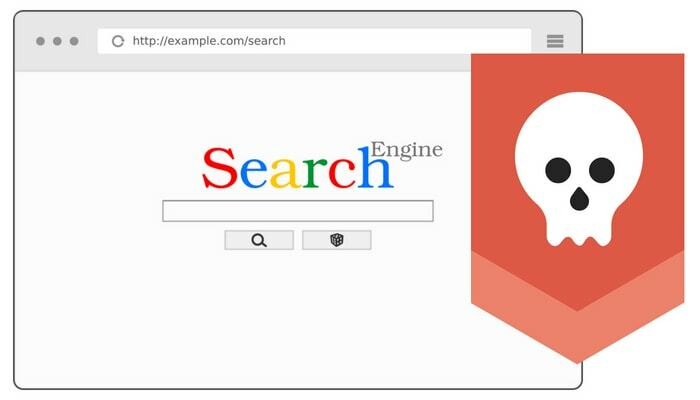 Explore this Google guide on how to potentially fix that page. One of the best tools for identifying systemic search traffic issues and improving the searchability of your website is Google’s own Search Console. This video above highlights how to do all of these things inside of Search Console. What’s more, I provide some context to what certain issues or revelations might mean in reality. The problem example: CTR goes down, but impressions stay the same over a certain period of time. What to fix/check: Make sure that changes to your meta, title, or structured data hasn’t changed. If it has, it may be negatively affecting CTR in organic results. If you’re still not sure what be causing a site-wide organic traffic drop, it may be worth looking at how your audience’s engagement has changed over time. If engagement time has declined, it is possible that recent site changes (layout, speed, etc.) have negatively affect user experiences. Google will read this behavior and drop sites in rankings if the issue appears to be systemic across the whole site. You can look at engagement time, scroll percentage, and other deep user experience metrics for free using Big Data Analytics. Being able to get a better view of how user are consuming your content will almost always lead you towards greater traffic from search engines. The first step to solving organic traffic loss is making sure you’ve actually lost organic traffic. After that, it’s the 5 W’s. Who, What, When, Where, and Why. Make sure to not jump to the Why too soon. Avoid theories and guesses. In most cases, you can get enough data to isolate the issue and solve the problem easily. Questions? Leave them below. Maybe I can help. I’ve been doing this for over a decade. ya , that is very valuable for traffic increasing and losing ..
Google update or website error, but the truth is that 50% of the sites I see that have a loss in traffic actually haven’t lost organic traffic. I usually Find the traffic Lost is mainly bot traffic the Number of posts and articles is declining less generating less bot traffic. Traffic trends and issues are unique to every site. Usually, you can solve secure http warnings fairly easily using Google’s Developer tools. If you have an issue with a script on a making a non-secure call (even Google for some reason? ), you can use some really nice find and replace plugins and scripts that can shift the on-page urls to the HTTPS version to prevent this from displaying to visitors. These surely helps. I used the third step a while ago to recover my website’s traffic.